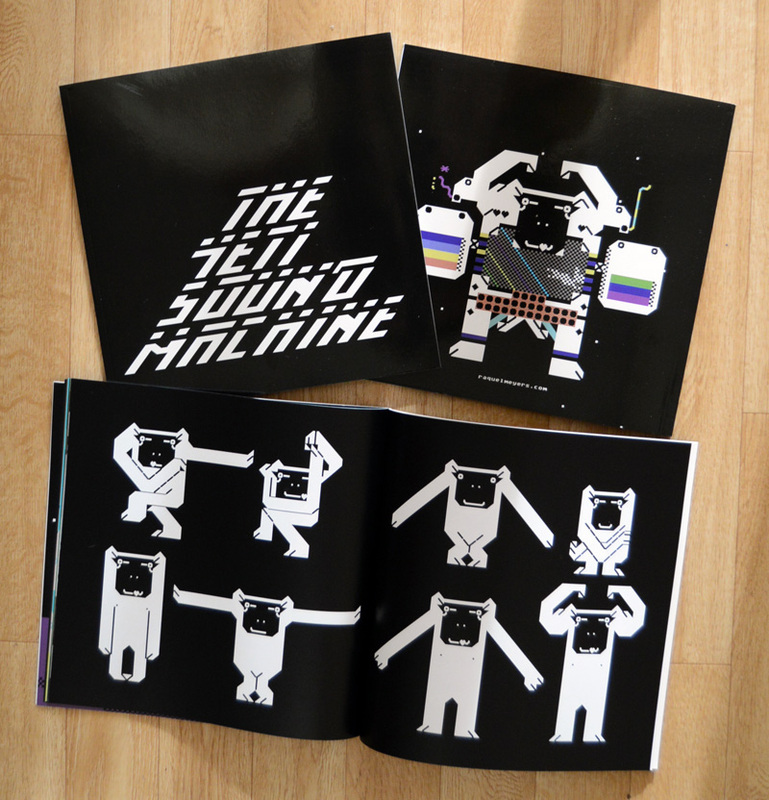 8.5″ x 8.5″ Paperback, 35 Pages and full color PETSCII! Get your copy at lulu.com for 13$. 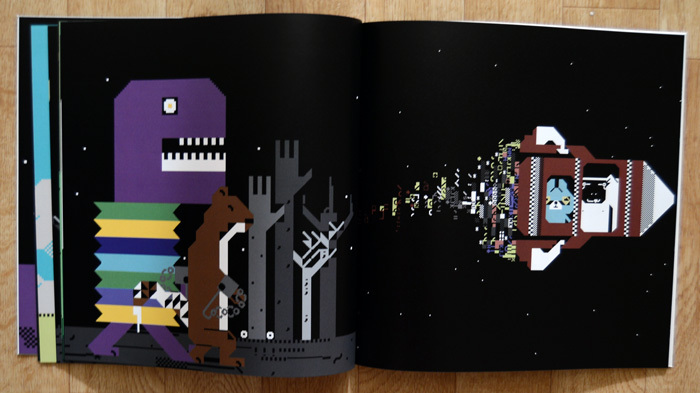 The book contains a silence PETSCII story about yeti, who is a kind monster that travels all around the universe and visits amazing animals and creatures in space. Whenever someone has a problem they can contact him over radio, and Yeti comes with his Sound Machine. With this magical device he can solve any problem in the world. The Yeti Sound Machine was performed at La Gaîté lyrique (Paris,2014). 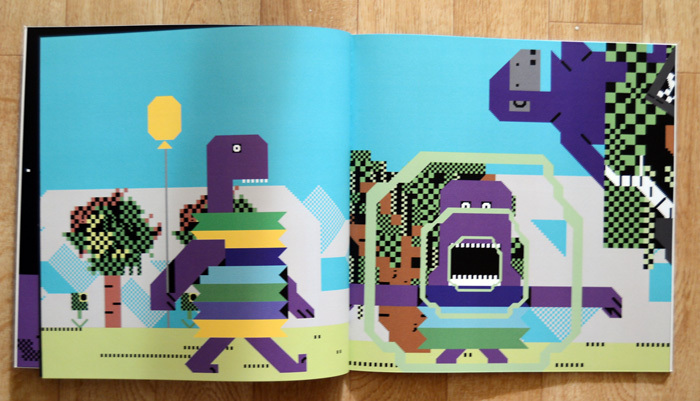 The show presents a magical world, that is made with animated text characters (PETSCII) by Raquel Meyers & 8-bit music by Goto80. Newer Post Thread of Fate, the book! (2014) Older Post C-m- -l -v- f-n-x !